A rewards credit card allows you to accumulate reward points with every purchase which you can then redeem for merchandise, vouchers, services or air miles. The redemption rate for reward points differs according to banks. In short, you save money in the form of reward points. How does a Rewards Credit Card work? To put it simply, a rewards credit card allows you to collect and accumulate reward points that can be redeemed for a range of benefits, such as merchandise, vouchers and discounts. Rewards points are credited to your account with every purchase you spend on your card. The value of each reward point varies between banks. For instance, UOB’s Lady Mastercard allows you to earn one UNIRinggit (point) for every RM1 charged to this card for any retail purchases. Airmiles, cashback and reward credit cards can be very different in terms of features and benefits. An air miles credit card rewards you with air miles for every ringgit you spend. The number of air miles you receive depends on the conversion rate of the bank. You can utilise your air miles to redeem free flights, free seat upgrades, access to travel lounges and more. A cashback credit card gives you a percentage of your money back, it is credited back to your credit card account at the end of your statement cycle. The amount of cashback you receive depends on the cashback rate of the bank. Essentially, you save money with a cashback card. Can I enjoy cashback with my reward credit cards? Yes, some cards offer combined features of cashback and reward points. For example, you can enjoy 5% cashback for your grocery and petrol expenses while earning Maybank TreatPoints with a Maybank Gold 2 Card (Visa & Amex). Can I earn air miles with a rewards credit card? As for air miles, some cards also allow users to convert their reward points such as CIMB credit cards, Maybank credit cards, and Citibank credit cards into air miles such as AirAsia BIG Points. However, the redemption value (amount of reward points to air miles) differs bank to bank. When it comes to applying for a rewards credit card, there are several questions you need to ask yourself before making a decision to make sure you get the best credit card that suits your needs. What is a reward multiplier? A reward multiplier is the number of points awarded to you per ringgit spent on the selected merchant. In short, you need to find out how much you need to spend to get every reward point on your credit card. For instance, a credit card’s reward multiplier is 0.5 when you spend RM100 which means you get 50 rewards points. Hence, you should find out if it is easier or harder for you to earn points when you are choosing a reward credit card. 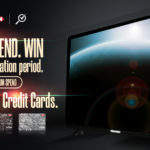 What is a reward redemption value? This differs across banks and the type of gifts you seek to redeem such as vouchers or electrical items. Basically, it translates into the value of your reward points after a redemption from the bank. For example, you can redeem a RM100 Jusco voucher with every 20,000 TreatPoints with your Maybank credit card. 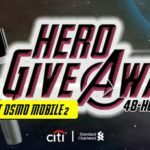 As a result, every 100 TreatPoints you redeem here is worth RM0.50. Thus, you should also find out whether you get the best out of your reward points with the credit card before choosing one. Which bank gives me the most rewards value? Every bank has a partnership with different types of merchants and offers exclusive deals for cardholders. Before choosing a rewards credit card, you can look at the bank’s partner merchants such as grocery stores, petrol stations, airline operators, restaurants, online shopping stores, utility brands and more. For example, you can earn 8X rewards points at selected malls with an HSBC Visa Platinum Card and accumulate your rewards points faster than others. Most banks offer a wide range of choices for cardholders when it comes to the redemption of rewards points. You should be able to choose from electronic gadgets, electrical items, travel accessories, bags, kitchen wares, branded accessories, vouchers, air miles (such as AirAsia BIG Points and Enrich Miles), and outdoor gadgets. Hence, always request to look at their catalogue for redemptions before choosing a rewards credit card to know if you are interested in their offerings. What is the maximum cap of rewards points I can earn? Some banks may put a cap on the amount of reward points on a daily or monthly basis and may also impose minimum spending requirements in order to earn reward points. Hence, you need to check the terms and conditions with the banks before applying for a rewards credit card. This way, you will know whether it fits into your spending pattern and allows you to optimise your earnings. 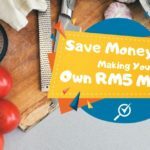 Some examples: UOB’s Lady’s MasterCard has a monthly cashback cap of RM30 with a minimum spend of RM300 and above to be entitled to rewards points. Am I eligible to earn rewards points on all spend? It depends on the type of credit cards and banks that issue them. Some banks only allow you to earn points from certain categories while others allow you to earn from all spending but at lower reward multiplier. Before you choose a rewards credit card, you need to know the categories of spend you are entitled to earn rewards points in order to get the most out of your credit card. Annual income of at least RM24,000 with three-month payslip statements and latest EPF statement. You can apply for different tiers (Platinum, Gold, Classic) depending on your income level. 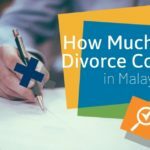 You must be employed by a private company or government in Malaysia. For those who own a business, you need to have business license and at least one year account statement. 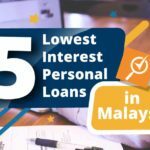 All Malaysians that have adequate income and employed can apply for a reward credit card. Foreigners or expats must have working Visa and permit from their employers in Malaysia in order to apply for one. 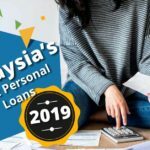 If you earn RM36,000 or less per annum, you cannot hold cards from more than 2 banks. How to apply for a rewards credit card? If you are sure that you have fulfilled the requirements needed to apply for a rewards credit card, there are several ways for you to proceed with the application. If you have made up your mind in terms of preferred credit card or bank, you can just walk into the nearby bank branch and fill up the application form. If you want to save time, bring all the required documents (check with the bank over the phone before going) so they can immediately process the application. It usually takes two weeks to know the result of your credit card application. You can apply for a reward credit card on a bank’s website by submitting an application form online. Most banks will contact you through email or phone to get documents and verification before processing your application. 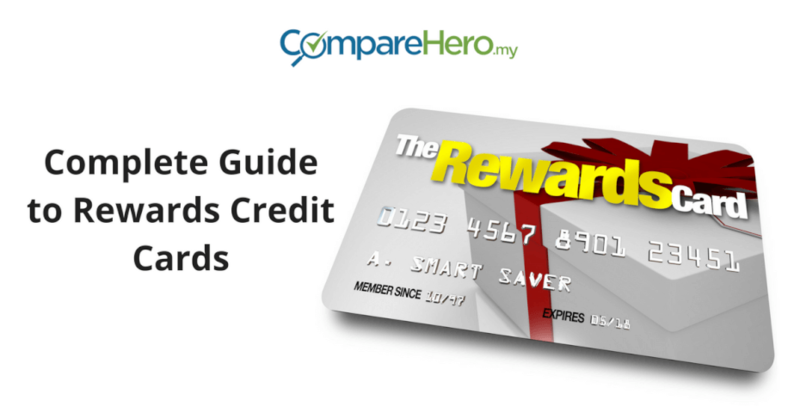 You can compare the best reward credit cards or other features on a financial comparison website such as CompareHero.my. 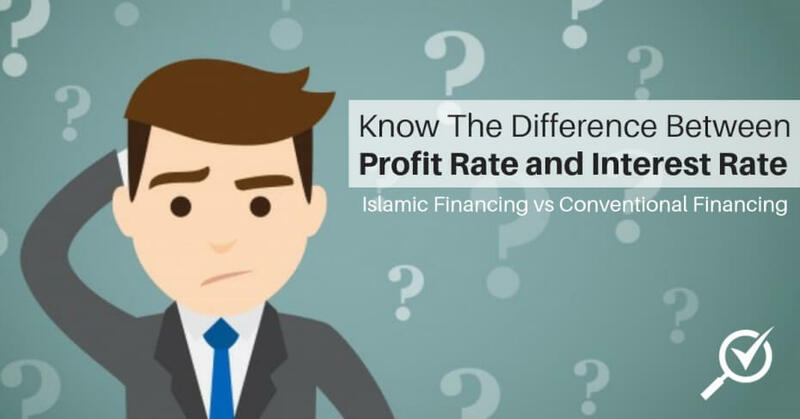 You can find all the details and information you need to compare the credit cards including annual fees, interest rates, reward multiplier, income requirements and exclusive benefits. Find out all reward credit cards here! At most malls or office areas, you can find these agents from respective banks set up a booth and giving out flyers to get you to sign up for a credit card. If you are interested in the credit card they are selling, you can probably get a free gift by signing up on the spot. However, you will not be able to get an overview of other credit cards which may be more suitable for you if you sign up on the spot. How to get the best out of a rewards credit card? If you have successfully received your rewards credit card, here are 6 tips that can help you to maximise your reward points and redeem free gifts of your preference! This way, you can concentrate on earning all the reward points rather than diluting them in different credit cards. It is even better if your family can share the same card with you to pay for groceries, petrol, utilities, and other purchases. All reward points by the banks have a limited availability period (usually 36 months), so you must make sure they are utilised before the expiry date. If you can’t earn enough points to get the gift you really want, choose another gift that is just as valuable and redeems it to avoid wastage. There are terms and conditions you need to pay attention to when it comes to earning and redeeming reward points such as eligibility to earn, minimum spending, limited points awarded every month, and extra reward points for specific spending. Choosing a gift for redemption requires you to do some homework in calculating the value you will get for each redemption. Say you redeem an oven that is worth RM300 with reward points of 50,000, that means your redemption value is RM0.60 for every 100 reward points. But if you can redeem an RM200 Tesco voucher with 60,000 reward points, your redemption value will be RM0.35 for every 100 reward points which make it more worthy of redemption. Some banks offer more rewards points during the weekend or specific places such as malls or categories (dining, online shopping, petrol, or grocery). Hence, you should find out the promotions offered by your bank and plan your shopping to get the best with your reward credit card. If you want to maximise your savings, you can choose a credit card that offers rewards points and zero annual fees with a percentage of cashback too, such as Maybank 2 Gold Card. This way, you can save more money and enjoy gifts redemption at the same time. Can I use my rewards credit cards to redeem certain items? Some of you may wonder if you can redeem certain things with your credit card rewards points and we have listed out some of the common questions below. Can I use rewards points to redeem AirAsia BIG Points? Most banks do allow cardholders to convert their credit cards’ rewards points to AirAsia BIG Points at different rates. You can check the redemption catalogue or contact your bank for more information. Can I use rewards points to redeem Enrich Miles? It depends. Just like AirAsia BIG Points, some banks do offer Enrich Miles redemption with credit card reward points. Contact your bank or visit the website to learn more about the redemption eligibility. Can I use rewards points to redeem other loyalty programs’ points? Other than air miles, it is quite rare to see banks offering users to redeem other loyalty programs’ reward points with their credit card reward points. You can contact your bank for more details. Can I transfer my rewards points to another account? Generally, you are not allowed to transfer your credit card reward points to another account other than your own. Can I use rewards points to pay my credit card? You are not allowed to use your credit card reward points to pay your credit card points but selected merchants allow you to pay for purchases with your credit card reward points such as using CIMB Points at Giant. Some banks do allow cardholders to redeem annual fee waiver accordingly. You may refer to the catalogues provided by the banks. What are the banks that offer reward credit cards? 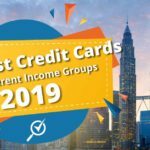 What are the top 3 best reward credit cards in Malaysia? Based on the ease to earn and redeem, we have selected the top three rewards credit cards in Malaysia as below for your reference. Read more to find out why you should apply for any of these credit cards now. This card allows you to spend at over 30 malls and earns 8x reward points in HSBC’s Rewards Programme. It is almost too easy to earn your rewards points by shopping at these places for your clothing, grocery, accessories, furniture, and more. This 2-in-1 Card acts as both a credit card and a BonusLink card for you which allows you to collect 30 BonusLink Points* for every RM10 spent on selected retail transactions including Shell petrol stations, Parkson purchases, dining, groceries, online transactions, and also entertainment spend such as movie tickets, bowling alleys & more! Tip, you can collect two sets of BonusLink Points at BonusLink Partner outlets with this card too. You can also enjoy up to 5x complimentary lounge access throughout the year plus 25% discount on all lounges in Malaysia and 20% discount on all lounges overseas for each accompanying guest. If you use this card to purchase your flight ticket, you can enjoy up to RM1 mil of free travel insurance coverage. 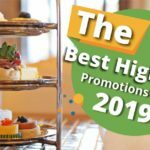 You should also know that you can enjoy a number of exclusive deals with this card such as 20% off redBus purchases, 10% off Lazada every Wednesday, and much more. Best thing is, this card comes with zero annual fee which means more savings! Choosing a rewards credit cards can be more complicated than you may think. 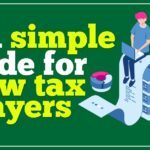 We hope this guide provides you with the details you need to choose and apply for the best one that fits your needs.